One of the iPhone's biggest gaming hits has finally arrived on the Android platform, with Rovio Mobile's phenomenally addictive Angry Birds making the jump to a new platform in beta. 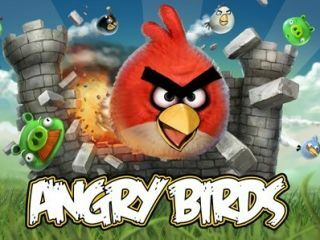 Angry Birds has been a massive seller on Apple's App Store, and the calls for it to arrive on Android have been many and volumous. And that dream is now a reality, with the company announcing on Twitter that the app is now on the Google platform. "And Angry Birds have landed on Android:-)" the company said, adding "If you have any problems with the Android beta, let us know. It's a beta, so we know it's not perfect. Help us make it better." Rovio Mobile has impressed many with its after support – the original Angry Birds has been continually updated with more levels and different birds for free. The game has been so successful that there is even talk of a film in the offing. We're not sure if the plot will stretch that far, but it may still be more complex than Transformers. "This week, we were planning to run a closed beta test of Angry Birds Lite for Android," explained Rovio on its blog. "Due to the massive response and demand from the Android community, we have decided to make Angry Birds Lite Beta available for everybody through the Android Market this Friday. "Angry Birds Lite Beta will run on second generation Android devices and upwards. "We want to ensure that we will publish the best game ever released on Android, and we hope that this beta version will prove to our Android fans that Angry Birds has been worth the wait!"